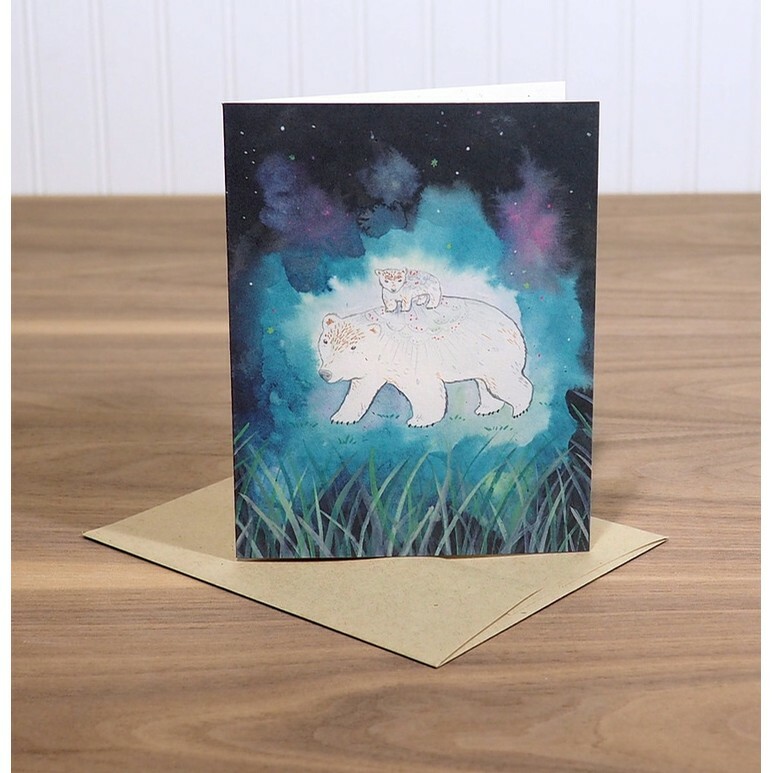 “Uplifted” is a print of an original artwork depicting two bears lifting each other up when the other one needs it. Bear animal totems represent bravery, introspection, caution, healing and leadership. All cards are A2 (4.25" x 5.5") size. Item is packed in a cello bag for protection and shipped in a rigid fiberboard envelope.